The Upward Trend Blog: Let Vacaville Electric Help Light Up Your Life! Vacaville Electric is a full service Electrical Contractor based in Vacaville, California. Some of our company specialties include Residential, Commercial, Industrial, Service & Maintenance, Design, Lighting and Solar. When you need an electrician, you can count on us. Whether you are a Business Owner, a Contractor, a Property Owner, or a Homeowner, we facilitate the smooth completion of your project. Working well with other trades, we look out for the owner's interests, delivering affordable quality every time. We always welcome new challenges and look forward to working with you. 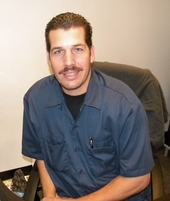 My name is Tom Jackson, Owner/Operator of Vacaville Electric. I have been an Electrician for 15 years and have hands-on field training in Residential, Commercial and Industrial electrical work. When I was 19 years old, I took over a friend's job doing Residential electric work and have been in the Electrical industry ever since. After a few years of Residential work, I wanted to learn something new and switched to Commercial work. A couple of years later, the location of the company's work started moving too far south. At that time, I made the decision to join Local 180 and to work locally. I was sworn (organized) in as a Residential Journeyman. After a couple years, I challenged the Board and tested out for Commercial Journeyman. The last five years have been spent working in the Napa Valley, doing Wineries, Caves, Restaurants, Shopping Centers and Custom Homes. Last year I decided it was time to bring my experience home and begin the last company I will ever work for. My experience includes everything from Design to New Construction, Existing Construction, Remodels, Tenant Improvements and Service/maintenance of existing systems. In July of 2009, I started Vacaville Electric. We are Locally Owned and Operated. I was born and raised in Fairfield, and have been residing in Vacaville for the last 10 years. My family is a part of this community and we are here to stay. Vacaville Electric stands behind our work. We will get the job done right and in a timely manner. Customer satisfaction is important to us. http://www.vacavilleelectric.net/.